Punting is much more difficult to do when one is battling the elements. Rain, snow, and wind can all have a major impact on the punting aspect of a football game in a very negative way. In case you needed a reminder of that fact, we got it Tuesday night in college football as Kent State had a punt of zero yards against Buffalo and it didn't get blocked. The player punting the ball, quarterback Dustin Crum, didn't get all of the ball on that punt, but the wind definitely played a factor in the punt being as awful as it was. 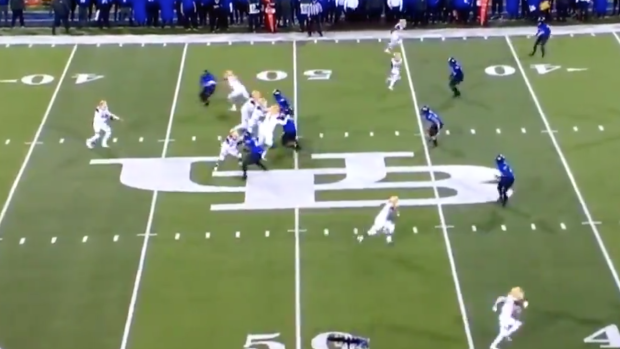 If that punt didn't give you a good sense of how windy it was, this video certainly will. It's not like a good punt would have helped Kent State as they lost 48-14, but the more positive plays the better, right?